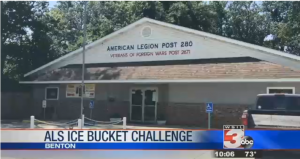 WSIL-TV reported that the Benton American Legion hosted the ALS Ice Bucket Challenge on Saturday. Instead of a bucket, though, those who donated 50 dollars were soaked by a tractor full of water. All proceeds went toward the St. Louis, Missouri Regional Chapter of the ALS Foundation. Amyotrophic lateral sclerosisdiseasem, commonly known as ALS, is a disease that causes nerve cells to break down and affects muscle functionality. 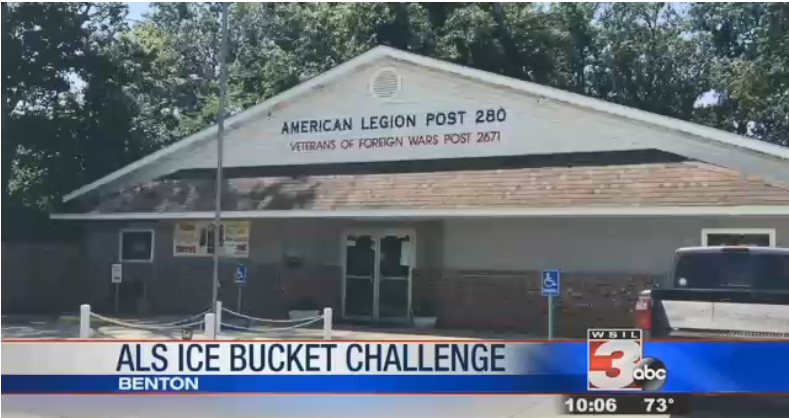 The chapter raised over $3,000 dollars, some of which came from local lawmakers State Senator Dale Fowler and State Representative Dave Severin. Watch the WSIL-TV report by clicking here.